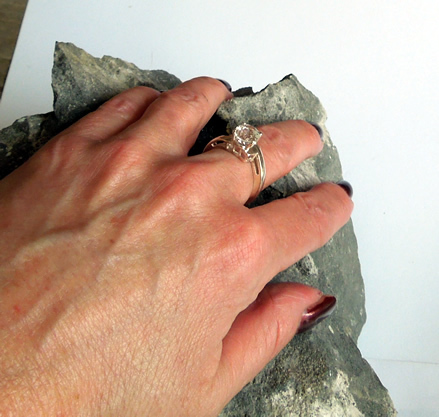 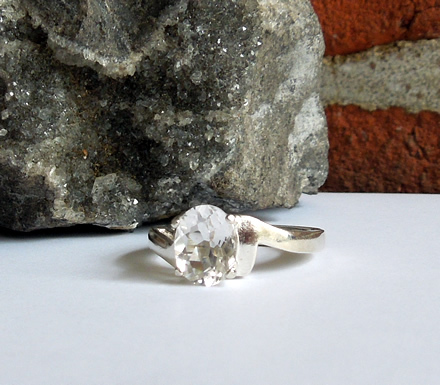 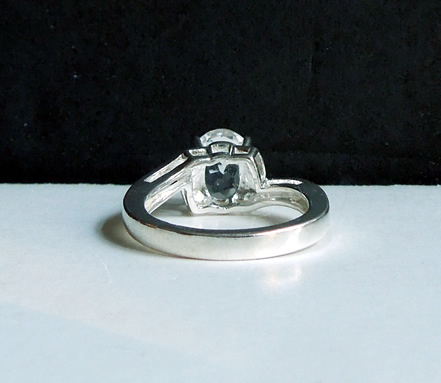 Notes: A sparkling oval cut Herkimer crystal sets in a heavy art deco style ring. 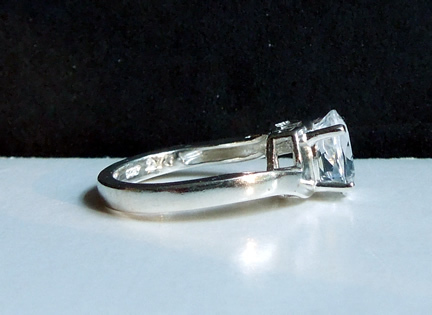 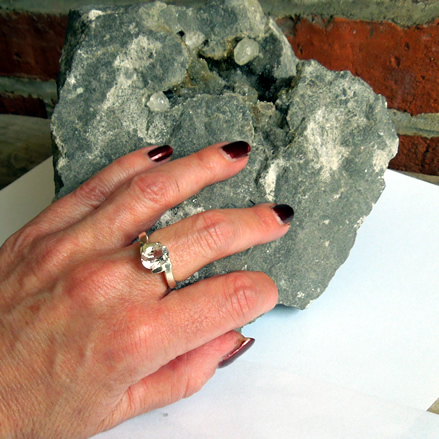 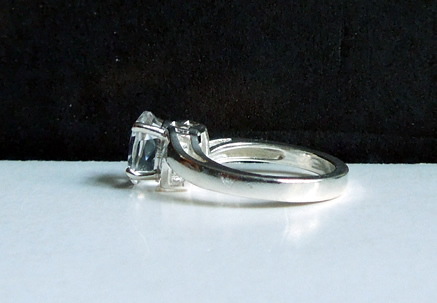 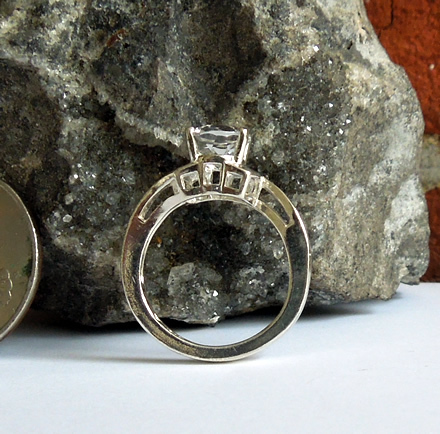 The quartz crystal measures 9x7 mm / 1.75 ct., the sterling silver setting is a size 7. 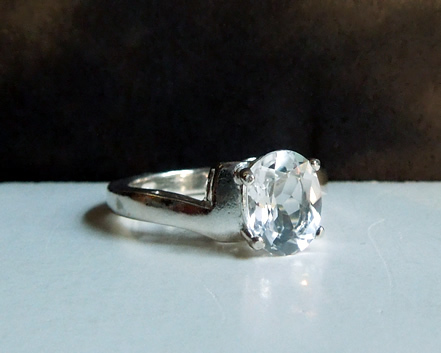 Oval cut Herkimer crystal art deco ring.